We express love because the gratification of love is enormous, and we continue to express love and to act protectively because the loss of love is traumatic. If we did not experience pain on the demise of those we love, if we had the pleasure of love but felt nothing when the object of our love is destroyed, we would be considerably less protective than we are. It may also be that the very structure if consciousness opens the pathway to depression…To give up the essential conflict between what we feel like doing and what we do, to end the dark moods that reflect that conflict and its difficulties–this is to give up what it is to be human, of what is good in being human. –Andrew Solomon, The Noonday Demon: An Atlas of Depression. That sense of “ready ecstasy” often acts as the impetus for poetry, in my experience. I am not sure that joyful awareness was worth the pain and despair–couldn’t I have just achieved heightened awareness through, say, meditation, song, or religion? Nonetheless, if I can craft a relationship with depression that is not a destabilizing battle, that’s enough for me. The recognition of joy and the critical thinking that reflection deepens in my consciousness keep me striving. Yesterday morning, early, in the long grass, the three-legged doe gave birth to a fawn. I watched as they emerged from the meadow and headed for the woodlot together, mama still licking the little one. Earth delivers ecstasies readily, if only we will observe. National Poetry Month has rolled around again, and sophomores enrolled in the Poetry classes are trying to interpret poems. Somewhere along the line, people in the USA acquired the notion that teachers ought to make things simple to understand so that students can learn the material. What about diving into the material in order to learn about it? Asking it questions? Having a heart-to-heart conversation with it? Those are alternate approaches to reaching an understanding. Truly, one aspect of teaching that frustrates me is that the majority of human beings want everything to be simple. “Simple” has become a click-bait word, an advertising slogan. Even the American embrace of mindfulness largely bases its premise on the idea that mindfulness is simplicity itself, when anyone who has seriously attempted meditation and mindful living can attest that the theory sounds simple enough but the practice is more complex than it seems. Now, I have nothing against simplicity–I yearn for simpler ways of living in the world, myself. Nevertheless, a person does not reach her fifties without a clear recognition of how complicated life is; and no one can deny complexity has considerable value. We would not be human beings, capable of speech and abstract thought and deep love and senses of humor, if it were not for the incredibly intricate operations of neurons and synapses, nerves and hormones, rods and cones, DNA and all the rest that somehow connects us inside our physical corpus. All of these contribute to our conflicting emotional states, to our individual and, because we are group-dwelling creatures, our communal (cultural) psychologies, morphing into social structures of vast networks and multiple influences. Nothing about any of this is simple. In an effort to assure my students that they can, indeed, become better writers, I endeavor to simplify the writing process as to structure and foundational principles as much as I can. I refuse, however, to suggest that written expression can be simple–because human expression is not simple. We desire and feel and experience in ways that are complicated, layered, multifaceted–hence not easy to put into spoken words, let alone written ones. Writing is work that requires complicated approaches to thinking and reflecting. That doesn’t necessarily make writing hard, but it does not make it simple. Writing requires inquisitiveness, which seems to come easily to little children but which doesn’t mean inquiry is simple. One of the things my students struggle with most is asking questions. When I say, “Ask some questions about this text,” they look at me as though I have three heads. 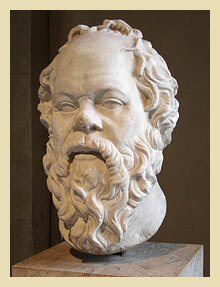 Students assigned philosophy papers feel gobsmacked by Socrates–he seems so surface-value simple, but he never answers any questions! And now their professor requires them to ask further questions, rather than asking them for the right answer to a simple question. Oh, my darlings, if there were truly simple answers we would not have developed art or dance or music or poetry. In other words, if everything were simple, we could say what we need to say and all other people would understand everything they needed to know about us without nuance or subtext or background or socio-cultural context, or whether we are secretly embarrassed by our slight lisp, or grouchy because we had a spat with our spouse the previous night. That sounds pleasant and easy, but that’s not how things evolved among human beings. I would tell my students I’m sorry about all this, but I’m not. Complexity: I revel in it. My “day job” at a small university is part administrative, part teaching, part assessment, and largely tutoring in writing. The last of these requires a peculiar balancing act, because my directive says I must not tutor discipline content; I have to tutor students toward “clear expression” while staying within the areas of grammar, spelling, vocabulary use, assignment interpretation, thesis writing, paper structure, and documentation. As a job description, that all sounds quite clearly delineated and objective enough, but writing well cannot happen when the writer fails to understand content material. Enter the Philosophy paper. In any discipline, it’s difficult to separate tutoring “clear expression” in terms of grammar and vocabulary without also tutoring content. With philosophy that process is especially challenging, because to a large extent, philosophical understanding (content) relies on grammar (rhetoric). A student can contradict himself simply by neglecting to type the word “not” in a sentence, rendering his attempt at argument void. Or a student may announce she will use one approach to prove her claim and then prove the claim, quite adequately, with a different (and opposite!) approach. Cases like these cause me to ponder. How can I coach the writer without offering a content-based answer? Philosophy itself supplies the method: inquiry. When the science students or economics students bring papers to me, it is, I admit, much easier for me to stick to grammar and mechanics. The same sorts of logical structure or argument issues crop up, however. Sometimes, I feel as though I am right on the borderline, and sometimes I think I’ve teetered a bit too far into content tutorial–especially when the students are writing about history, philosophy, literature, or philosophy. Yet would any philosopher disagree that you cannot completely disentangle grammar logic from any other kind of logic? They stem from the same root. About death’s “special relationship with literature,” my education agrees with his. Before I ever had much experience with death in the immediate small circle of my own life, I had encountered it in the books I read voraciously. I knew death could be gruesome, sentimental, slow, quick, painful, transformative, pointless. But I was very young, and I did not, could not, fully understand with what I was engaging: the very question of being and non-being, of what comes “after” and if there is an “after,” and if those words as we know them (temporally) mean anything at all. [W]riting itself was implicitly suffused with the theme of mortality, especially narratives and storytelling in general (the example of Scheherazade of One Thousand and One Nights came to mind) as ways of eluding or delaying the inevitable. Plato set the tone in the Phaedo when he had Socrates tell his disciples, before drinking the poison hemlock, that true philosophers concern themselves with nothing but dying and death, that philosophy is in fact the study of death. This seemed to me rather excessive. Though never losing sight of his mortal condition, Montaigne is primarily intrigued by the processes of life, the mutations from day to day, as he watches his own decline and feels, as he puts it, that he is dissolving and slipping away from himself (“Je fons et eschape a moy“). His concern is not with essence or being but rather with transition: “I do not portray being, I portray passing” (“Je peints le passage“). Throughout, his Essays affirm the need to live to the fullest. Yet, in a deep sense, his thought seems prompted by the recurrent sense of the transitory and the perishable. Kind of dovetails with the concept of impermanence, no? On a closing note, and back to my favorite topic of poetry….Billy Collins has claimed that “the theme of poetry is death.” Like Brombert’s assessment of Socrates’ claim, I’m inclined to think this statement is a bit exaggerated. There’s merit to it, however. Worth thinking about. Collins’ poem “The Dead” offers one way of thinking about death in a poem; this link will take you to a clever animated version of this poem. And there’s a nice example of paronomasia: animating the dead! Recently, I listened to a radio interview with Madeleine Albright, former Secretary of State, who is promoting her latest book. The interviewer asked her what quality she thought most crucial to a good leader. Albright has met many, many leaders; she is also a brilliant person. It was a good question to ask her, and she had an excellent and thought-provoking answer: A good leader should be confident, but not certain. (If you download the mp3 file in the link above, her explanation of this idea comes near the end of the program.) Powerful people who are both confident and certain of themselves, their aims, knowledge, and ideas, are too likely to veer into autocratic dictatorship. Those who are neither certain nor confident are too easily swayed by advisors with their own agendas or are unable to make decisive moves. A person who is open-minded–and therefore not certain–but who is confident in his or her ability to make a good decision once the facts are in, leads wisely and well even when mistakes occur due to faulty information or circumstances beyond anyone’s control. We could all benefit from becoming more confident and less certain. It strikes me that Socrates might have possessed this pair of qualities. The philosopher continues to question and is therefore not certain; but the uncertainty isn’t of the waffling, inconclusive kind. Uncertainty in Albright’s use of the word means curious, inquisitive, searching. The confident person trusts his or her values (confidence, from fidere, “to trust”) but does not let dogma or single-perspective “certainties” obscure research, facts, other perspectives. I will grant that this approach is difficult for us humans, and that is why so few leaders possess this pair of traits. While I have no interest in becoming a world leader, I plan to keep Albright’s phrase in mind and discover whether I can become more confident and less certain in my life. Gardening is one area that relates well to confidence and uncertainty, though in a slightly different form of practice. I’ve been a gardener for over 30 years, and one thing you learn when you garden is that there are no certainties. Planning takes mental and physical effort and preparation, and then there are the endless obstacles involved in planting and overcoming soil deficiencies, insects, fungi, and weather inconsistencies just to name a few. Am I a confident gardener? Yes. Years of research, experiment, study, practice, trial and error–and successes–have made me confident. But there are always new hybrids to try, new species to plant, and there are problems that never seem to go away (why can’t I get carrots to grow here, when I have grown carrots every other place I’ve lived? How to keep certain fungi at bay using organic means?). And one never has any sort of surety or pledge (the etymology of “certainty”) that those tomatoes will ripen without blossom end rot or fusarium wilt, that the pigweed will not take over during the gardener’s five-day vacation (well, that’s almost a certainty! 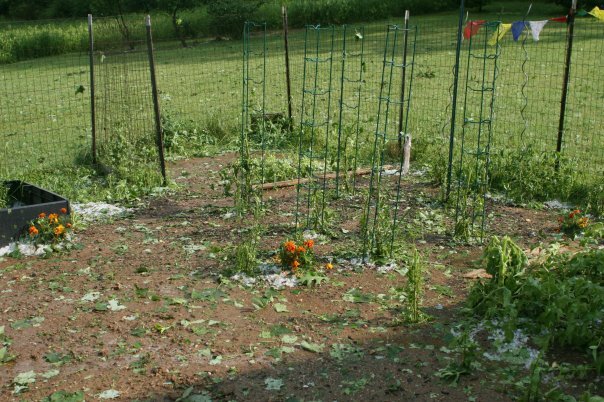 ), or that hail will not wreck the whole summer’s worth of plantings. This year, my vegetable garden is producing well despite overbearing heat, hard brief rains, and far too many weeds. I feel annoyed with its overgrown appearance, but one thing about gardens is you get another chance as long as you can wait a couple of seasons. Meanwhile, with a little more thought and research, I’m confident I can plan an even better garden next year.